For over 30 years, AJ Motors have been servicing and repairing all makes and models of cars. With constant investment in staff, training and technology means that our team of professional can offer a highly skilled and efficient service for all our customers. From initial consultation, our friendly and helpful team will guide and advise you through any repair management that is needed, giving you peace of mind and more importantly at an affordable and agreed price. 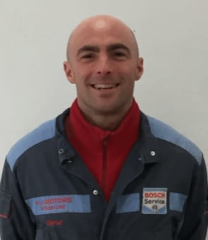 Bosch Car Service garages provide vehicle maintenance, repairs and diagnostic for all makes of vehicles. They guarantee a first class service at an affordable price. The technicians at AJ Motors & Son are trained using the latest technologies and have the most up to date diagnostic equipment to pinpoint any faults with your car as quickly and accurately as possible. Any parts that need to be replaced will be of the sae quality as those that were originally fitted on your vehicle. If you want affordability combined with the highest technical and Customer Service Standards, then AJ Motors & Son can fulfil your needs. Excellent service from the mechanic and all at A. J. Motors, Birkenhead. Thank you!